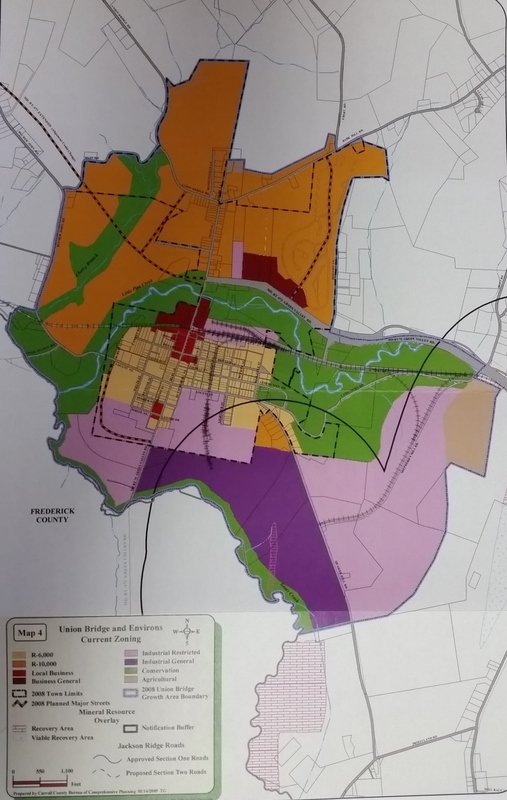 PLANNING & ZONING: The Planning & Zoning Commission was organized to maintain and protect the integrity of the town. 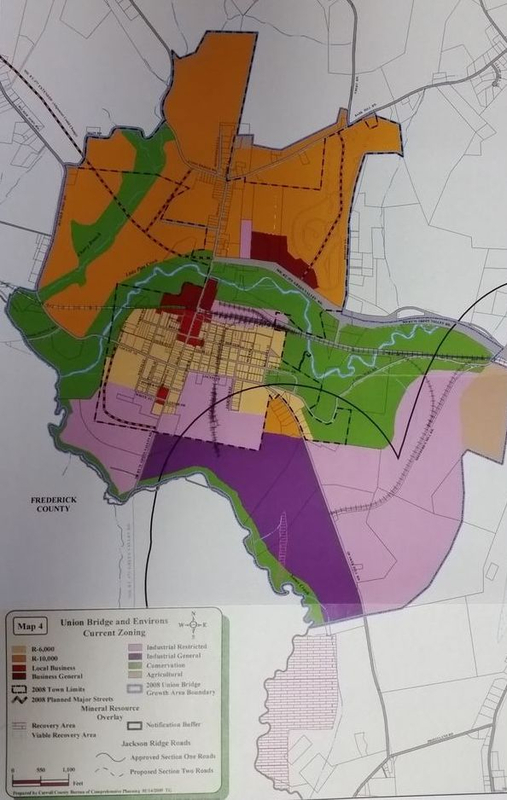 Planning is done to promote efficient utilization, acquisition and disposition of the land in and surrounding the Town of Union Bridge, to ensure the highest and best use of land. It helps to direct, harmonize and influence discussions and activities of private and public sectors relative to the use and management of the land as well. Also, it can help to reconcile land use conflicts and proposals between and among individuals, private and government agencies, relative to the present and future need for the land. Zoning is the process a municipality uses to plan for the use of land. The major types of zoning include: residential, commercial, industrial, agricultural and historic. Sub-categories exist within each of the types of zoning. PERMITS: Go to the bottom of this page for permit information. 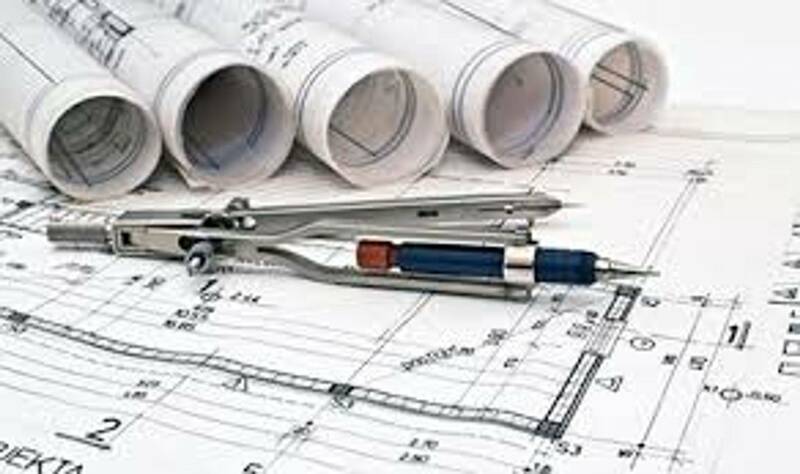 Meetings: The third Thursday of each month at the Union Bridge Town Hall at 6:30 p.m.
Any construction of buildings, additions, renovations, electrical, plumbing, etc., that you wish to complete on your property, requires a permit for the work you want to complete from Carroll County. If you are not sure if you need a permit or don't know what kind of permit you need, contact the Carroll County Permits and Inspections Office. 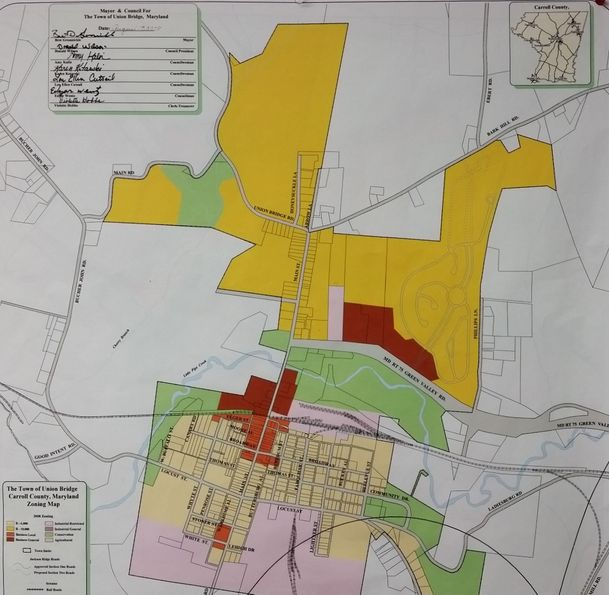 For smaller projects that Carroll County might not require a permit for, like temporary swimming pools (with temporary wiring for pool pumps) or fences, the town may require that you have a "Town Building Permit". You must submit a permit application to the Town of Union Bridge before you can start work. Click on the adjoining picture for a town building permit application (pdf). Print the page and complete all sections that are highlighted. Once you have completed the permit application, bring it to Dawn Metcalf at the town office. She can advise you of any additional information you may need. 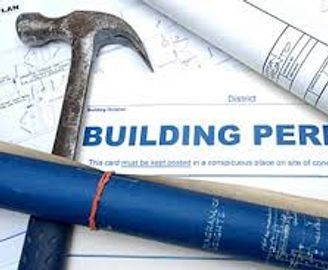 If you are not sure if you need a town building permit, contact Dawn at the town office during normal business hours.